2.Designated enterprise of the ministry of construction. 4.Have passed the ISO9001 quality and CE attestation. 5.We will provide you with the best service. It is specially designed for customers who need to change the construction site frequently. It is simple in installation compact in structure place saving and high automation. It is widely used in large infrastructure construction, such as buildings, highways, bridges, airport, water conservancy project and precast factories. 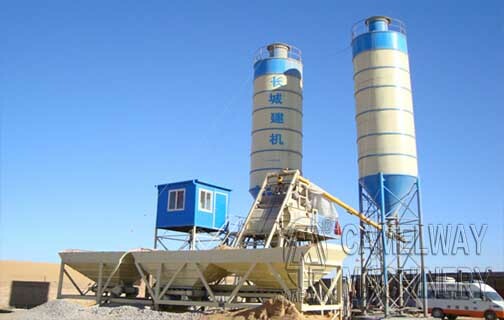 If you want to know more information about the concrete mixing station or buy it, please contact us.